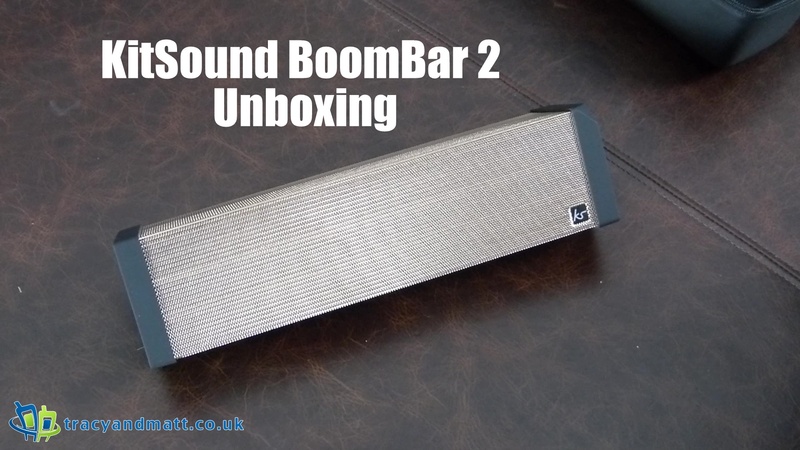 The Kitsound Boombar 2 is a gorgeous lump of speaker that comprises of three main pros, is priced nicely, it looks great and it delivers decent sound. We are seeing an influx of affordable portable speakers that manage to a great sound however none look as impressive as this and whilst it does not carry water resistance a price tag of £70 makes this a device worth looking at. An upgraded version of our already impressive BoomBar, this portable wireless speaker also features a passive bass radiator but is twice as powerful. Despite being just a little bit bigger than our original BoomBar, this wireless speaker, with its passive radiator, is twice as powerful and twice as detailed, especially when positioned on the floor, as its angular design throws sound upwards. We think our BoomBar 2 – with its carry case, built-in rechargeable battery for up to 10 hours of music play time and wireless connectivity – is the perfect modern equivalent of the boombox. You can easily pop the BoomBar 2 in its carry case into your bag for a long weekend away, or a spontaneous trip to the park. The BoomBar 2’s simple pairing process makes it extremely easy to wirelessly connect to your smartphone, tablet, MP3 player or other Bluetooth device, but there’s also a 3.5 mm aux-in port to let you connect other devices too. The perfect all-round wireless speaker, the BoomBar 2 also acts as a speakerphone, with a built-in mic and hands-free function allowing you to easily take calls using the simple control buttons. According to hip-hop pioneer Fab 5 Freddy, the genre owes much of its success to boomboxes. Welcome to the natural heir of the boombox: the KitSound BoomBar 2.